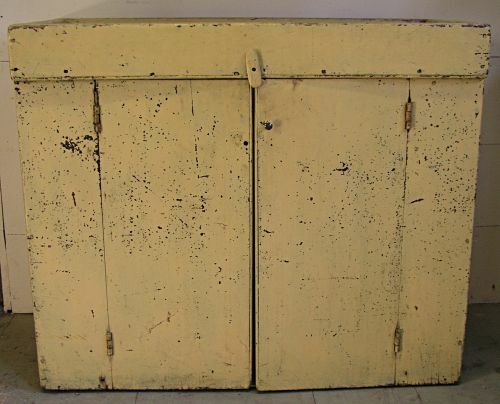 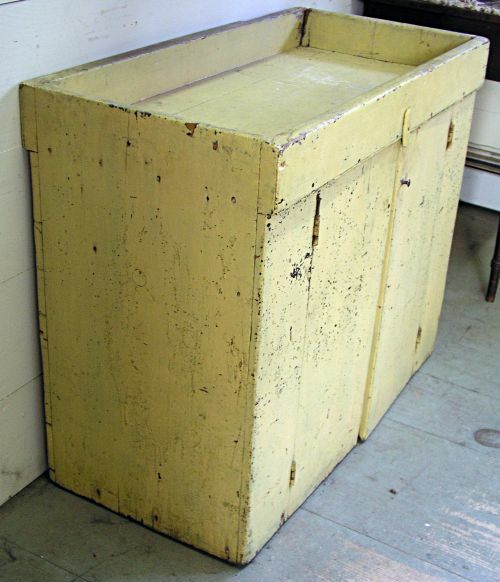 Pine dry sink in old yellow over an earlier blue/gray paint. 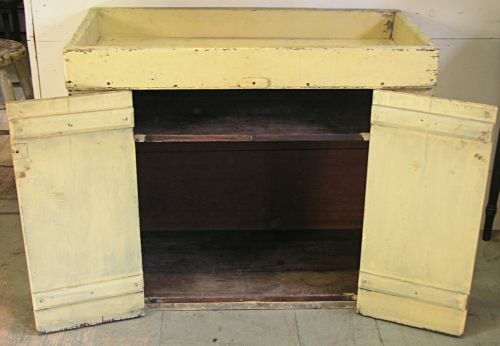 Great small size with single shelf interior. 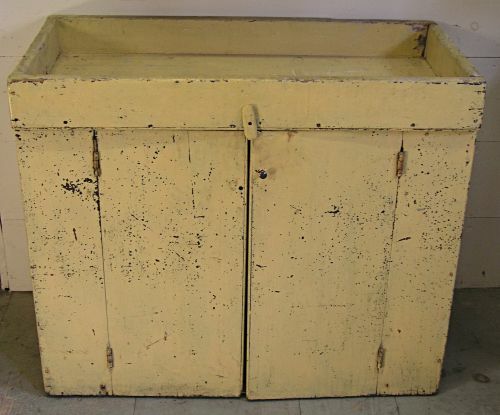 Dimensions: Measures 36" wide by 18" deep by 30 1/2" tall.